This index is an alphabetical listing of the titles off all articles published on this blog, relating to Then - Arts and Entertainments - with the date of its publication. For ease of access, the titles listed below are the full names of the original article, minus any "The" or "A" as the first word in the title. 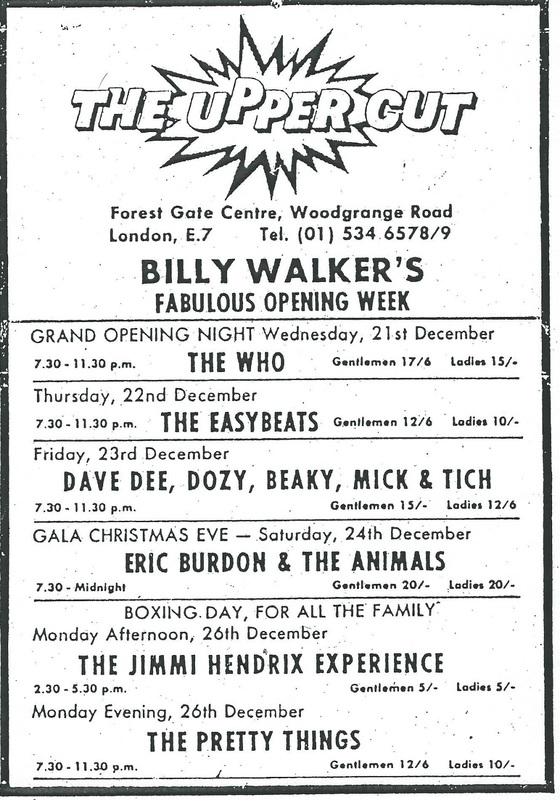 I love the opening week poster for the Uppercut - do you want to see Jimi Hendrix for 5 bob, or would you rather see Dave Dee Dozy Beaky Mick and Tich for four times as much?